This treehouse, known as the Temple of Blue Moon, is the first treehouse that first caught my eye when I heard about Treehouse Point. It is the oldest treehouse on the property and they only one with a tree running through it (though it is encased in windows to help keep the critters out!) It features a beautiful suspension bridge, and is known for swaying when people walk on the bridge, or in a wind storm. This next treehouse is one of the most beautiful on the property. 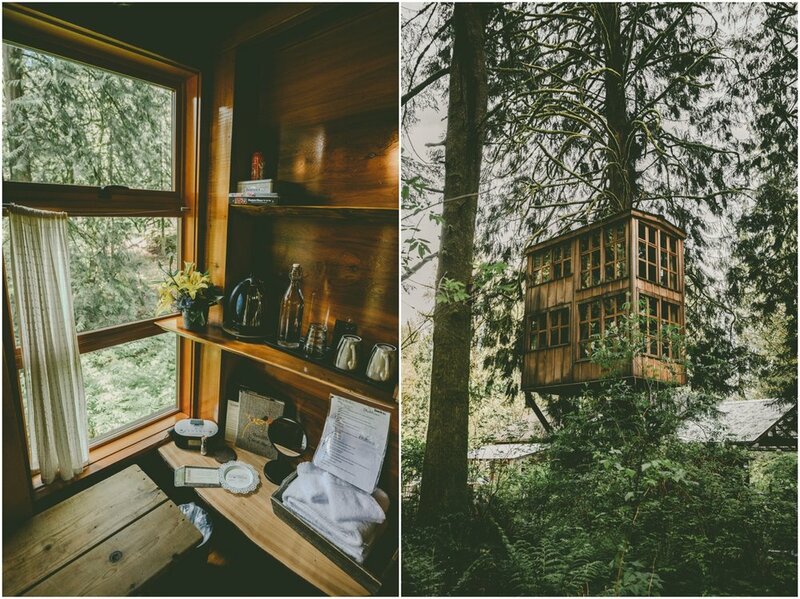 Encased in windows and sporting a two storey-high living room, the modern yet rustic nature of this treehouse is captivating. 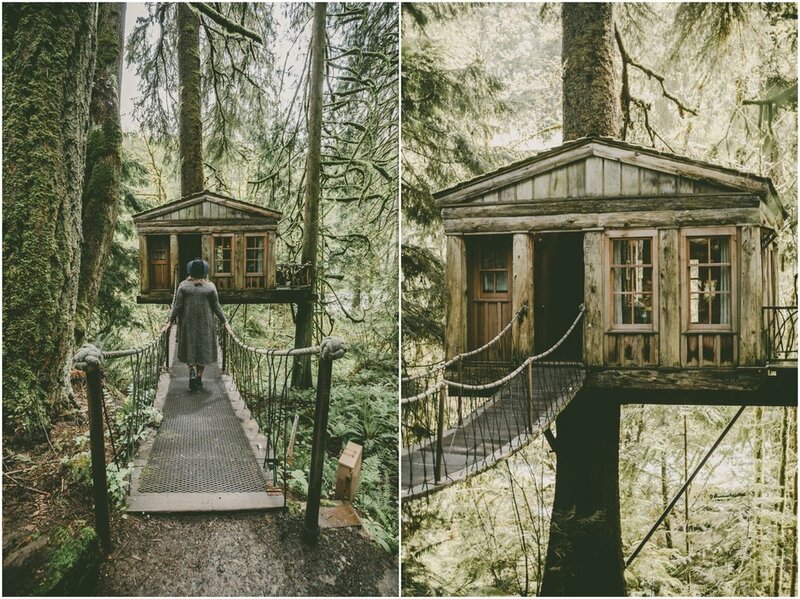 This treehouse is known as the Trillium. Next, we head to Upper Pond, the only treehouse with a ladder access (and an adorable pulley system for your luggage). 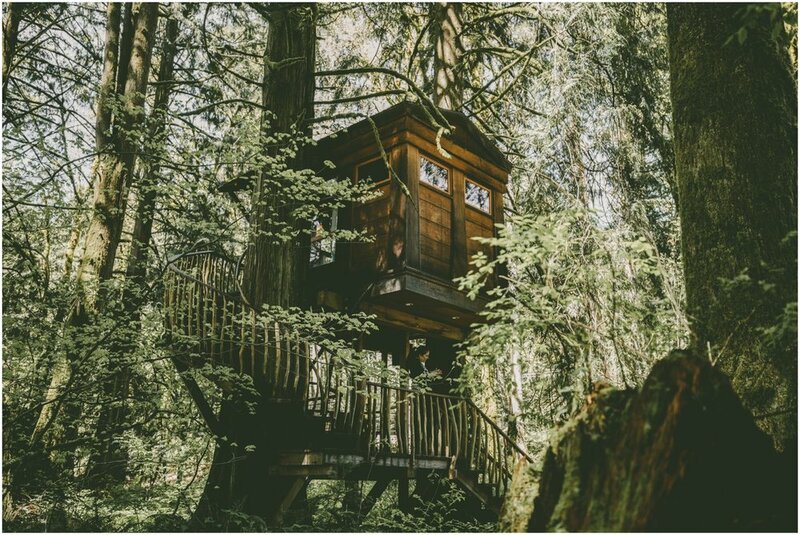 This is the largest treehouse and can sleep up to four guests at once! We continued on to the Nest treehouse, which is bird themed and oh-so-sweet in it's quaint and petite nature. 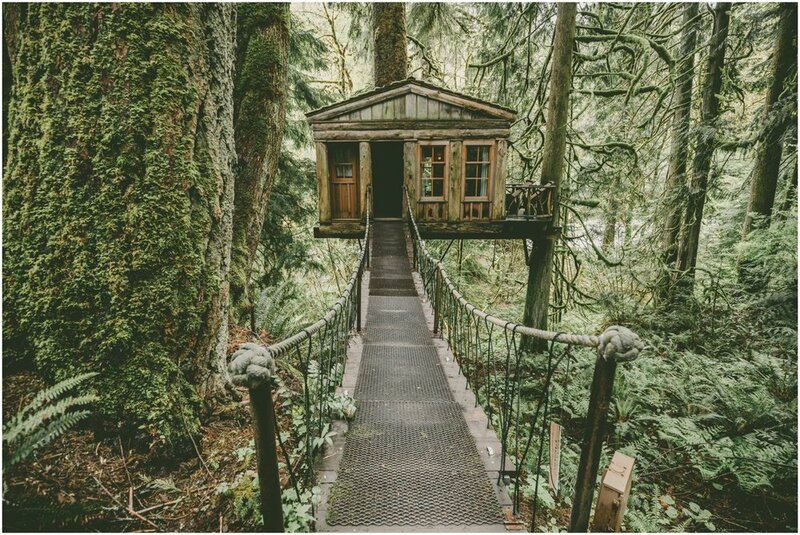 Near nest is the beautiful hotel-style bathrooms that Treehouse Point has recently built, complete with an outdoor shower. Just past the bathrooms is Bonbibi, which is not only fun to say, but is also one of my favourite treehouses. You'll also notice some other angles on the Trillium included. Last, but not least, we have the Burl. 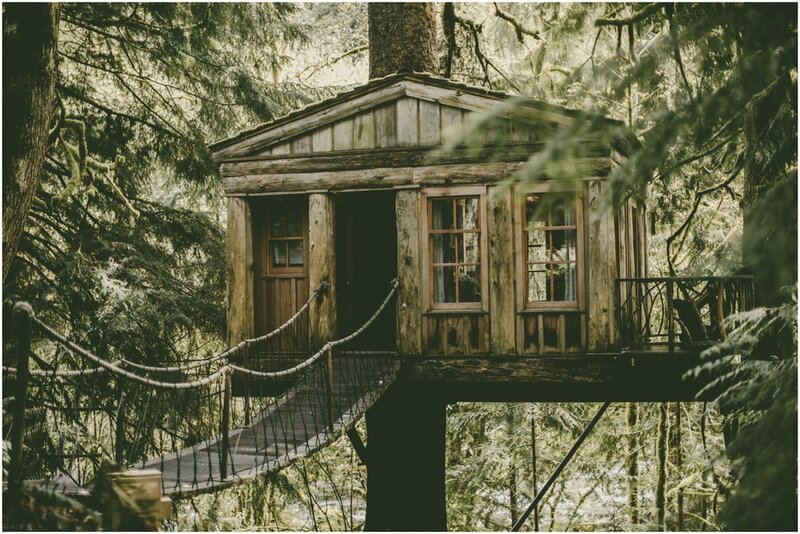 Nestled into the far end of the property with a beautiful bridge leading to it, this treehouse is the only one with running water. The views of the forest and sounds of the rushing river below are unbeatable. I hope you get to enjoy some time in the treetops here someday. 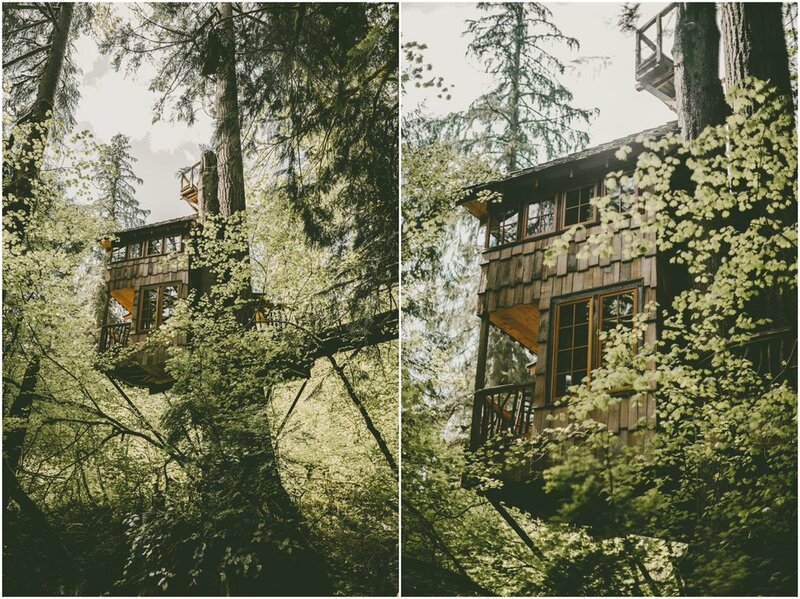 I know I cannot wait to book a night in one of these incredible treetop homes.